_If you have a problem toilet that always seems to clog, run (leak), lack flushing power or if you need any sort of toilet repair or replacement, Pieper’s Inc. has licensed plumbing specialists that can solve the problem. If you hear water running in your toilet tank for extended periods after a flush, then your toilet is leaking. It is dumping water down the overflow tube and wasting up to 200 gallons of water daily. The problem may be a corroded overflow pipe or flush valve assembly. Sometimes the culprit is a worn out flapper valve. Stop jiggling the handle and call Pieper’s Inc. Chances are you'll save enough money on your next few water bills to cover the cost of the plumbing repair. If your toilet was manufactured before 1994, it is probably costing you a fortune in water. 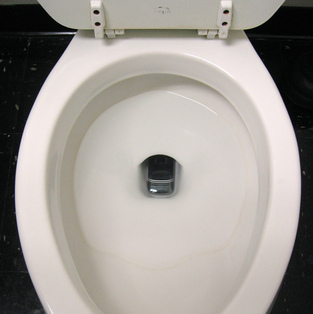 Most older toilets used 3.5 gallons per flush (gpf). Newer low-flow toilets use only 1.6 gallons per flush and the newest low-flow designs provide the same amount of flushing power as old 3.5 gallon models. A Pieper’s Inc. plumber can install an efficient new toilet that will conserve water and save you money month after month.